Virgil Abloh is a man that needs no introductions. Once Kanye West’s creative director, his presence within the fashion business is second to none. With his brand OFF-White, he was able to associate the term “designer streetwear” with his sole person. Let’s try to understand why Virgil Abloh is the current king of the business. Virgil Abloh’s brand, OFF-White, started as a pure competition against the entire fashion business: while everyone else was selling products that were always looking for a deep sense of finesse, he decided to launch a brand that was heavily relying on flashy colors, oversized shapes, and eye-catching patches. From that, Virgil was able to reach goals that no one within the fashion industry ever reached, becoming Louis Vuitton creative director in 2017. What’s in Virgil’s agenda for the future then? At this point, no one knows. It’s no secret that the fashion industry is heavily relying on influencers at the minute. With brands coming out from nowhere, many big ones decided that the right avenue to take was indeed focused on influencers, especially when talking about streetwear and expensive, limited edition pieces. This is why brands like Supreme, OFF-White, Bape and Anti Social Social Club are so big right now. Note to self and to everyone who wants to find new outfits online: Instagram is the best choice since you will find the best ones there. What Differs Virgil From The Rest? High branding and flashiness are not the sole things that separate Virgil’s creations from the rest of the world. 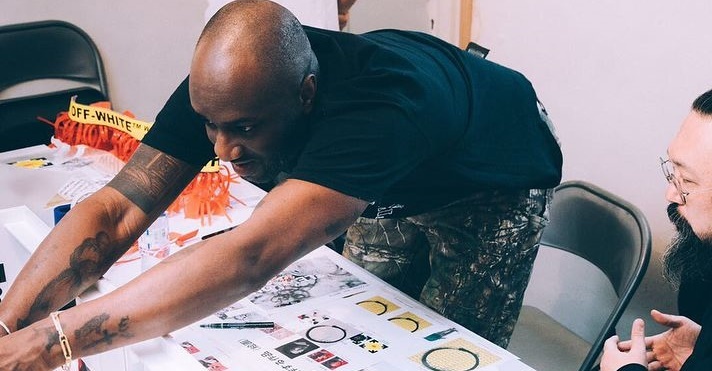 Abloh has a great business sense and his unique design approach permitted him to collaborate with brands like Nike, IKEA and many more, confirming him as one of the biggest designers of the present. It is clear now, Abloh is not solely associated with his brands like OFF-White and Louis Vuitton but also recognized as a notorious designer, 360 degrees-wise. In conclusion, the global phenomenon that is known today as Virgil Abloh is here to last for a long time. What personally excites me about his future are the chances he’s having of collaborating with brands that aren’t related to the fashion business at all. With all that being said, the designer’s future is more than bright. Bravo, Virgil. Hi! My name is Vicky, I’m a fashion designer, running enthusiast and occasional model. Fashion is and will always be my passion and I also love sports. I am currently doing an internship but I would love to open my showroom soon!